A key reason for the shielding gas waste is the buildup of excess gas in the delivery hose when welding is stopped. The amount of excess is dependent on the pressure in the gas delivery hose when welding is stopped versus when welding. When welding the pressure in the gas delivery hose is reduced by the needle valve or orifice to 3 to 7 psi. When welding stops it rises to the regulator or pipeline pressure up to 80 psi. This excess gas is expelled every time welding is started or when just inching the wire to cut off the end. Depending on the regulator/flowmeter or pipeline pressure, the volume wasted can exceed 5 times the hose volume when measured at standard pressure and temperature. For relatively short welds, the waste can easily exceed the amount used when welding. Longer gas delivery hoses waste more gas. CHECK REFERENCES. 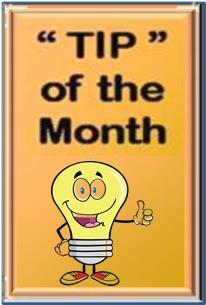 However you need relatively high pressure to provide Automatic Flow Compensation. That's why gas distribution systems are designed that way? What more information on this feature? In addition to the excess gas being wasted, the flow rate is so high at the weld start it creates turbulent shielding gas flow. This causes air (with its combined moisture) to be pulled into the shielding gas stream creating poor starts with excess spatter and possibly weld porosity. 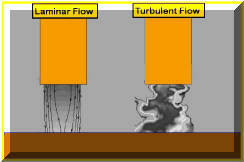 Even with relatively short, conventional gas delivery hoses this turbulent flow is created at the weld start. 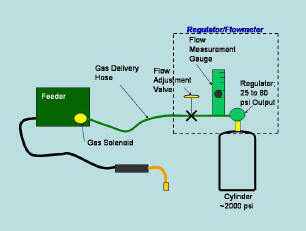 A production example where this problem existed and was solved with a Gas Saver System is sited. CHECK IT OUT. A simple way to reduce the gas waste without reducing system pressure is to reduce the hose volume (This maintains automatic flow compensation and quickly delivers a controlled amount extra shielding gas to displace air in the weld start zone and torch). 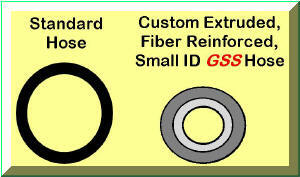 A special small ID hose is used with the patented Gas Saver System (GSSTM) that eliminates the excess "gas blast" at each weld start. Since gas velocity would still be excessive at the start, a restriction orifice is incorporated into the hose fitting at the feeder end. The restriction orifice further reduces gas waste.. Sufficient extra gas is left to quickly purge the air from the torch and weld zone. The surge restrictor size is selected to allow any normal gas flow setting. This hose is custom extruded with a large OD and fiber reinforcement to meet the tough physical needs of the environment. It can be stepped on without altering flow. If you have a Miller, Lincoln, ESAB, or Hobart welder a simple prefitted system is available. Just remove the existing hose and screw in the GSS. Restriction orifices have been added at the wire feeder to reduce gas surge velocity. Most of these are sized to restrict the flow to some maximum level but still allow the welder to adjust flow rates. This does help with the weld start problem -however- the pressure still builds in the gas delivery hose to that in the pipeline or regulator when welding is stopped. When welding is started most of the excess is wasted, it just takes longer for the waste to occur, perhaps several seconds making it less obvious! If the orifice is added at the feeder and is sized to control flow, several problems exist. A production example of one of those problems, lack of extra gas at the start, is detailed in Production Results. CHECK IT OUT. This problem will exist with any device controlling flow at the feeder. Also if the orifice size is selected to allow only a small amount of gas flow and since it provides no extra gas at the start, welders frequently drill them out to get more flow. However the smallest drill often available is 1/16 inches. Sounds small enough, but on a 50 psi gas pipeline that produces 165 CFH gas flow!! How Does Automatic Flow Compensation Work? Manufacturer of Low Pressure Device Even Warns of Possible Problems. 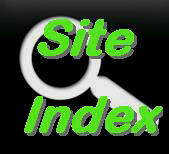 See Published Information. Has no pressures to set or knobs to adjust. Allows a small amount of extra gas flow at the weld start to quickly purge air (with its combined moisture) in the weld zone and air that enters the torch shielding gas cup, torch body and cable during weld stoppage. Unique, patented design reduces gas waste due to start surge by about 80% while maintaining the gas pressure in the delivery hose. If welders are setting very high gas flow rates, wasting even more gas, the GSS will limit flow settings to any reasonable, non-turbulant level. We have found some flowmeters will flow ~150 CFH with the neelde valve wide open, the GSS will allow only about half those levels. Maintaining the higher pressure retains the systems ability to automatically compensate for varying pressure drops in the delivery hose when inadvertently pinched, squeezed, bent, etc. Pressure drops in the torch due to conduit bending and spatter buildup in the front end are also automatically compensated to maintain the preset flow. That is a key reason regulator flow systems are designed to operate at these pressures from the time MIG and TIG welding were introduced in the 1950's!. The GSS is inexpensive, payback is measured in weeks. Saving Shielding Gas and Improving Weld Start Quality is Easy..
Want More Information About the Gas Saver System ? What Are Gas Costs as a Percent of Total Weld Cost? Want More Control of the Maximum Allowable Flow Rate?